Sorry for not staying on top of my blogging schedule guys - hopefully I'll have more photos by next week! For now, here's a quick little fashion video I put together showing my process for whenever a new piece enters my wardrobe. I play dress up! Because who doesn't? This is the latest dress to join my closet, and it's one I picked up while in Vegas. Not gonna lie, I may have purchased this solely for retail therapy purposes (hey, after that trip, I needed it), but it really is a lovely dress for summer! 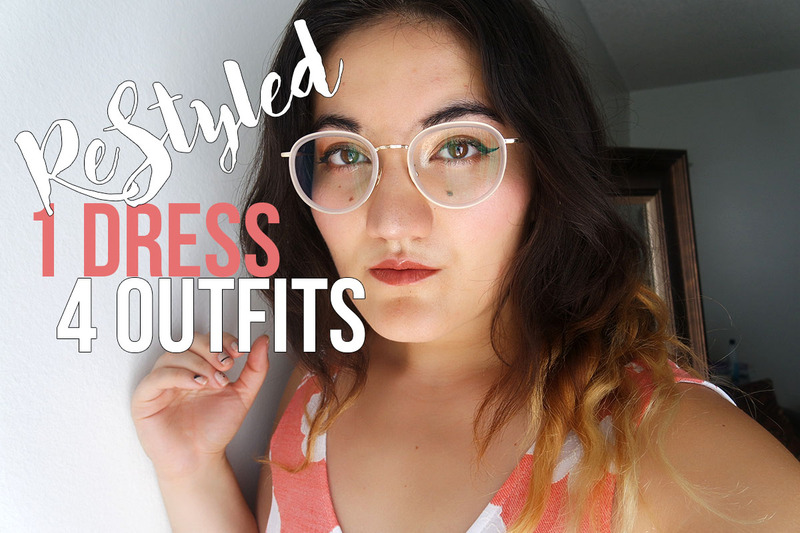 So here are four easy and quick ways I restyle it into four very different looks. Comment below which one was your favorite, and don't forget to subscribe to my YouTube channel (HERE)!